Before you can apply for student loans or other federal student aid, you need to fill out the Free Application for Federal Student Aid (FAFSA). Our guide covers what you need to know. Thinking of going to college? Whether you are finishing high school or already attending college, the federal government offers grants, loans and work-study programs designed to help you pay for school. The Free Application for Federal Student Aid (FAFSA) helps the student financial aid office determine your eligibility for various federal student aid programs, approve your loans, grants or work-study program, and disburse the funds into your account during the academic year. Why Should I Apply for FAFSA? Am I Eligible for FAFSA? Every year, millions of dollars in student aid goes unclaimed because students and families are not sure if they should apply. You should apply for FAFSA every year regardless of income. It is FREE! Any site that asks for money to apply for FAFSA is a scam. Make sure you use the official site. Almost all US colleges and universities use FAFSA applications in selecting students for non-federal student aid. FAFSA gives you access to a low-interest loan that can help build your credit. FAFSA shows your seriousness about attending college to admissions officers and may boost your chances of admission. It is faster and easier than ever. Don't be intimidated by the forms. The online application process usually takes less than 30 minutes. You do not have to repay until you graduate, leave school or attend less than half-time. If you are having trouble repaying your loan, you may be able to temporarily postpone, lower your payments or use a Direct Consolidation Loan. Repayment plans, including tying your monthly payment to your income. There is no prepayment penalty fee. A portion of your loans may be forgiven if you work in public service. Most loans do not require a credit check or a co-signer, and FAFSA loans can even HELP you establish your credit. Fixed interest rate is lower than private loans and WAY lower than credit card rates, and the interest may be tax deductible. If you are an undergrad in financial need, you can probably get a subsidized loan where the government pays the interest while you are in school at least half-time and for 6 months after you leave. There are very few things that make you ineligible for federal student aid. If you are ineligible, you can start now to make the changes necessary to become eligible to fill out the FAFSA form. If I was required to do so, did I register with the Selective Service? Do I have C average GPA or the minimum set by my school of choice? Am I a U.S. citizen, national, or an eligible non-citizen? Do I have a valid Social Security Number? Do I have a high school diploma or GED? Note: If you have not registered with the Selective Service, you can have the federal department of education register you automatically be selecting this option on the FAFSA form. Q: How do I know if my parents' income is too high to receive FAFSA? A: Apply anyway. It doesn't cost you anything and you may be surprised at your eligibility for federal student aid. FAFSA offers both subsidized and unsubsidized loans based on financial need. Q: What is a GPA Verification form? A: The GPA Verification form is required by the state of California for FAFSA filers. The kind and amount of federal student aid you are eligible for depends on a few different factors. The factor that can be most confusing is whether you will be submitting the FAFSA as an independent or dependent student. Many applicants think that being "independent" means living alone and providing their own income. This is NOT what the definition of independent is by the FAFSA standards. you are an undergraduate student. Even if you have lived "independently" for years from your parents, for the FAFSA purposes, you are considered a dependent student. There are some other criteria, so If you need more information on determining your status, click here. Modern families often have non-traditional configurations and that can make things complicated when trying to fill out the FAFSA. If you have step-parents or divorced parents or anything other than traditional, click here for information on how to complete your FAFSA. It sounds more complicated than it really is, but to see a more detailed explanation of this formula, click here. What are the Maximum Loan Amounts? The amount of federal aid you are eligible for depends on many factors, but here is a quick look at the school year and total maximum amounts. Maximum amount is determined by college. Q: My parents have an adverse credit history, should they still apply for a Direct Loan PLUS? A: Yes! If they are denied, then you will be eligible for the same maximum amounts as independent students. Q: Can I receive FAFSA if I attend a school outside of the US? A: Yes. You need to start early for the Study Abroad Program or the Degree Program from an International School. Read more about both here. Q: Is there funding other than from the federal government? A: Yes, each state and college has student financial aid programs. Most of them use the FAFSA to determine your eligibility, but some have additional forms you need to fill out. Check your state student aid here. By filing your FAFSA, you can also apply for a the Work-Study program and work part-time for extra money while you are at school. Am I qualified for the Work-Study Program? It is needs-based, so you must be able to prove financial need. The jobs are often in your area of study or work in the community. Your college must be a participant in the program in order to provide you a job. It is available to undergraduate, graduate and professional degree students. Work-study is first-come, first-served, so apply early. The FAFSA Worksheets have FAFSA deadlines, "TO DO" lists and document checklists to help you prepare and process your online FAFSA application. Signing up for FAFSA is easy. Just create your FAFSA ID here. Your FAFSA ID is an unique username and password that allows you to access the site and complete the application. Note: If you are a dependent student, your parents will need to get their own FAFSA IDs. Q: What happened to the FAFSA PIN? A: The FAFSA PIN was phased out because creating an account with a username and password is much more secure. All tax information should be from TWO YEARS previous to this year! Q: Can my tax information be automatically filled in on the FAFSA form? A: Yes! By using the IRS Data Retrieval Tool (IRS DRT), your tax return information will automatically appear on your FAFSA form so you don't have to worry about finding paper copies, entering information incorrectly or having to produce tax forms for verification if asked during your FAFSA application process. If you are a dependent student, your parental information will be needed as well. Confused about whether your student status should be dependent or independent? Click here for help. Q: Can I still file my FAFSA if neither my parents of I have filed our taxes? A: Yes. If you, or your parents', have not yet filed your taxes from two years previous, you can still file your FAFSA. If nothing has changed, you can estimate your tax numbers by using previous tax returns. When you file online, you will have the option of selecting that tells FAFSA you have not filed your taxes yet, but will. When you file and receive your return, you must log back into the system and enter your correct information. Calculate the financial aid you are eligible BEFORE filling out the FAFSA using the FAFSA4caster. This tool will walk you through the considerations that affect the type and amount of aid you can get. When you apply for FAFSA online, you will be asked to list the schools to which you would like to attend. You do NOT need to be admitted before you select the school of your choice, but you must list at least one on the application and there is a maximum of ten. Once you have been admitted to the school of your choice, you can log back into the FAFSA system and change your application to reflect your school selection. Q: I need help filling out my FAFSA. Where can I get help? A: Luckily, there is plenty of FAFSA assistance for filling out your form. Check out our FAFSA step-by-step Guide in Chapter 5. Contact the FAFSA offices: CHAT: FAFSA live help, click here CALL: FAFSA offices at 1-800-4FED-AID (1-800-433-3243) EMAIL: FAFSA Help representative here. After you have received your FAFSA ID, gathered all needed documents, calculated your financials and selected the school you would like to attend, you are ready to complete the online FAFSA application. Note: If you have applied for federal student aid using the FAFSA form before, select FAFSA Renewal at the beginning of the process instead of completing a new FAFSA. The FAFSA online form has seven steps to complete. Depending on your status, some of the steps will not be required. Apart from your basic name and address information, you will also be asked questions to determine your eligibility for student aid. Make sure you fill in your name as it appears on your Social Security Card. If your permanent address is outside of the US, enter "00000" for your zip code. Do not enter dashes (-) in your Social Security or phone numbers. #11: Driver's License Number. Skip this question if you do not have a Driver's License. #22: If female, skip to question 23. Most male students must register with the Selective Service System to receive federal aid. If you are male, age 18-25 and not registered, fill in the circle and we will register you. You can automatically register for Selective Service on your FAFSA form. #24-25 will ask for the highest level of education reached by both of your parents. Answer this question regardless of your dependent or independent status. It can affect certain aid funding. #31: Are you interested in being considered for work-study? Select yes if you are interested in work-study even though it is a needs-based, first-come, first-served program. This section requires your income and tax return information including your Expected Family Contribution (EFC). If you need more information on formulating this amount, click here. You can use the IRS Data Retrieval Tool (IRS DRT) to automatically complete your tax return information on the form. If you have not filed your taxes yet, you have the option to select "Will File" and use your tax return from the previous tax year (three years ago) to provide financial estimates. However, you must fill in your tax return information as soon as you receive it. #32: For 2015, have you (the student) completed your IRS income tax return or another tax return listed in question 33? I'm not going to file. If you have NOT filed, but you plan to, select the second option and skip to question 39. However, as soon as you get your tax return, you will have to log back into the FAFSA system to enter the correct information. This step has a list of questions that determine whether or not your are required to enter your parental information on the FAFSA form. Answer the questions in this step to determine if you will need to provide parental information. Once you answer "Yes" to any of the questions in this step, skip Step 4 and go to Step 5. This step is only for those who answered "No" to all the questions in Step 3 and is the area where your parental tax and income information will be completed. #80: For 2015, have your parents completed their IRS income tax return or another tax return listed in question 81? As mentioned above, if your parents have not filed their taxes yet, but plan to, select number 2, and then log back into the FAFSA system when you have the information from their tax returns. Note: It is important to fill this box on the FAFSA is a person is qualified as a dislocated person because it could mean that you may be eligible for the simplified needs test or automatic zero Expected Family Contribution (EFC). Is self-employed but is unemployed now due to the economy or natural disaster. Is the spouse of an Armed Forces member on active duty, but has is unemployed to due to relocation of permanent change in duty station OR is unemployed/underemployed and unable to find work. Is a homemaker (person who has provided unpaid family services) and is no longer supported by a spouse/unemployed/underemployed and unable to find work. If a person has quit work (except for spouse on Armed Forces active duty member) they are NOT considered a dislocated worker. #73: How many people are in your parents' household? #74: How many people in your parents' household will be college students between July 1, 2017 and June 30, 2018? Always include yourself and other children in the family when answering these questions even if you or they do not live with your parents. Also include any children or other dependents for whom your parent(s) pay more than 50% support. This step is only for those who answered "Yes" to any of the questions in Step 3. #95: How many people are in your household? Always include yourself, any children or other dependents who live with you or for whom you pay more than 50% support. #96: How many people in your (and your spouse's) household will be college students between July 1, 2017 and June 30, 2018? Include those who are enrolled at least part-time in a college degree or certificate program. List the colleges where you would like your FAFSA sent. You can list a total of 10, but must list at least one. You do not have to have been accepted to the college of your choice before filing the FAFSA. You will be asked to enter the code for each college you list. You can find the list of codes on the FAFSA website here or by calling 1-800-433-3243. If you don't have the code for the college, enter the complete name, address, city and state. This is the area where you (and you parents if you are a dependent student) sign the form indicating that you have read and agree with the information provided. After you have completed these Seven Steps, you have completed the FAFSA and submit it online. Open your browser to the official FAFSA website at www.fafsa.gov. Click the START A NEW FAFSA button. Log in to the FAFSA system using your FAFSA ID. What Happens After I Have Submitted My FAFSA? Once you have completed and submitted your FAFSA online, you will receive The Student Aid Report (SAR) by email. This is a report that will summarize all the information that you entered on the FAFSA form. Review your SAR for mistakes and make any corrections needed to your FAFSA. Q: How do I check the status of my FAFSA? A: You can check your status by logging back into the FAFSA system and selected to view your "My FAFSA" page. This page will not, however, indicate when you will receive funds. Check with your college Financial Aid office for this information. Note: You can correct any information on the FAFSA form until Sept. 15th. Remember that your college Financial Aid Office is there to answer any questions and you can contact the FAFSA customer support directly if you run into trouble. Call FAFSA offices at 1-800-4FED-AID (1-800-433-3243), or email a FAFSA Help representative here. The Free Application for Federal Student Aid (FAFSA) is a form students fill out and submit to receive financial help through U.S. federal government programs to pay for post-secondary education. What is the official FAFSA website? The official federal department of education website to reach in order to complete the FAFSA form is www.fafsa.gov. What kind of federal student aid can I get? The federal government offers student aid in the form of student loans, grants and work-study programs to help pay the costs of a college education. What is the FAFSA online form? The FAFSA online form is the process used to determine the eligibility and amounts of aid for qualified students. Student fill out and submit/file the form every year to receive federal student aid. Yes, submitting the FAFSA form is 100% free. If you are on any website that asks for payment to complete the form, it is a scam. What is the FAFSA deadline? FAFSA forms begin online acceptance October 1st, 12:01 a.m. central time Deadline for submitting the FAFSA form online June 30th, 12 a.m. central time Deadline for correcting, changing or editing the FAFSA form online September 15th, 12 a.m. central time. What is a FAFSA ID? The FAFSA ID is an unique username and password that allows you to access the site and complete the application. Signing up for FAFSA is easy. Just create your FAFSA ID here. Remember, if you are a dependent student, your parents must create their own FAFSA ID. How do I contact the FAFSA offices if I need help? CHAT: FAFSA live help, click here CALL: FAFSA offices at 1-800-4FED-AID (1-800-433-3243) EMAIL: FAFSA Help representative here. 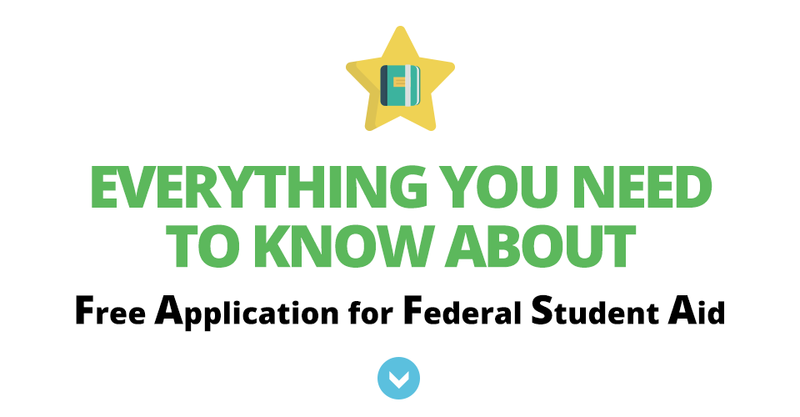 How do I know if I am eligible for federal student aid using the FAFSA? What is the Selective Service and how do I register for it? Register online and receive your proof of registration in two weeks at www.sss.gov OR have the federal department of education automatically register you by selecting this option while you file your FAFSA. What is GPA and what is the minimum requirement to receive federal student aid using the FAFSA? Can I receive federal student aid using the FAFSA if I am not a US citizen? Eligible Non-Citizens You can receive federal student aid if you are an eligible non-citizen. You must enter your eight or nine digit Alien Registration Number (ARN) on the FAFSA. Other eligible noncitizen with an Arrival-Departure Record (I-94) from the Department of Homeland Security showing any one of the following designations: "Refugee," "Asylum Granted," "Indefinite Parole," "Humanitarian Parole," or "Cuban-Haitian Entrant"
A citizen of the Republic of Palau (PW), the Republic of the Marshall Islands (MH), or the Federated States of Micronesia (FM). What is the GED and how do I receive it? General Educational Development (GED) GED testing was developed by the American Council on Education to give those who did not complete high school the chance to earn an equivalent diploma. There are four GED tests that are taken both online and in person. Eligibility and costs vary by state. Click here for instructions on getting your GED diploma. How do I know if I am a dependent or independent student? Independent VS Dependent Student Status If you are ANY ONE of these, you are considered an independent student. If you are NONE of these, you are automatically considered a dependent student. What if I am none of these things, but I am estranged or out-of-contact with my parents? There are situations where students under the age of 24 and/or undergraduate students face real difficulty getting their parents' information in order to complete the FAFSA. Although very rare, Student Aid Officers do have a "Does Not Apply" override that can be used to complete the FAFSA without entering your parents' income and tax information. Most offices will require some sort of documentation that can prove you are unable to provide their information. Speak to your Financial Aid Office for further information. What if my parents are divorced, separated or I only have one parent? FAFSA Requirements for Parental Information My Parents Live Together For FAFSA purposes, you are only required to enter information about each parent if they are living together. The status of their relationship, i.e. married, never married, divorced, etc., it not important. My Parents Do Not Live Together If your parents are legally separated or divorced, enter the information for the parent with whom you have lived with most in the last 12 months. If you spent equal time, enter information for the parent who has provided the most financial support. I Have One Parent If your parent has never been married or is widowed, enter information for only that parent. If you are still in doubt about the parental information requirements for submitting the FAFSA, contact your student aid office. How do I know if I am in financial need? The FAFSA4caster is an online tool offered by the federal department of education to help students calculate their Estimated Family Contribution (EFC). It is quick and easy to use. Find the FAFSA4caster here. If you have applied for federal student aid using the FAFSA form before, you have the option to select FAFSA Renewal at the beginning of the process instead of completing a new FAFSA. Do I have to enter my tax information by hand or can it be automated? What if I (or my parents) have not filed taxes yet? The FAFSA form allows you to submit "will file" when prompted for tax information. Select this option and fill in your estimated financials. Once you (and your parents) have filed taxes, use the return to correct the information on your FAFSA. Can I correct or edit my online FAFSA form? Yes, the deadline for correcting, editing or changing your online FAFSA form is September 15th, 12 a.m. central time. How are federal student aid awards disbursed? The funds will be disbursed directly into your bank account or employee credit union throughout the academic school year. Can I still file a paper FAFSA? A FAFSA preparer is anyone outside of yourself who you have hired to fill out the FAFSA on your behalf. The FAFSA preparer must also sign the electronic form to complete the FAFSA submission. What federal financial aid is need-based aid? The following federal aid is need-based and to receive it, you must be able to prove financial need. What is ‘priority deadline' for state student financial aid? Can I receive federal student aid using the FAFSA to study at a school outside of the U.S.? START EARLY! There is twice the paperwork. Degree Program from an International School START EARLY! You will have twice the paperwork as those applying for FAFSA at American schools. Is the program you want available? What are their enrollment policies? Are there resources for International students? What are the tuition and living costs? Contact the school to get the name and email address of the person responsible for processing your loan. Contact them directly with any questions. You can check your status by logging back into the FAFSA system and selected to view your "My FAFSA" page. This page will not, however, indicate when you will receive funds. Check with your college Financial Aid office for this information. How do I apply for Federal Student Aid using the FAFSA? Complete and submit the FAFSA form. How long does the FAFSA process take? From start to finish, the FAFSA application process online takes approximately less than 30 minutes. What is the Student Aid Report? The Student Aid Report (SAR) is a report you receive after the FAFSA completion online. If you submitted the FAFSA online and entered an email address, you will receive your SAR by email. If you submitted the FAFSA by mail, you will receive your SAR by mail. Review your SAR for mistakes and make any corrections needed to your FAFSA. What is the ‘DRN' on a FAFSA? A Data Release Number (DRN) is a four-digit number assigned to your application by Federal Student Aid. It is printed on the upper right corner of the paper Student Aid Report (SAR), in the upper right corner on the electronic SAR, and on your confirmation page. Institutional Student Information Records (ISIRs) contain processed student information reported on the Free Application for Federal Student Aid (FAFSA), as well as key processing results and National Student Loan Data System (NSLDS) financial aid history information. ISIRs are sent electronically to schools by the Central Processing System (CPS). What are the deadlines for state loans, grants and scholarships? Note: Apply as early as possible for state student financial aid as the funds can be first-come first-served until depleted. All deadlines are midnight central time. Be sure to check or double-check with your college financial aid office on all deadlines. RALASKA (AK) All funding listed here. Alaska Performance Scholarship: June 30th, but if there are fund, you may be able to apply later. Alaska Education Grant: Beginning date January 1st until funds are depleted. ARIZONA (AZ) All funding listed here. ARKANSAS (AR) All funding listed here. Academic Challenge: June 1st. Higher Education Opportunity Grant: June 1st Workforce Grant: Check with college student aid office for deadlines. CALIFORNIA (CA) Most financial aid deadlines are March 2nd. COLORADO (CO) All funding listed here. DELAWARE (DE) All funding listed here. Most financial aid deadlines are April 15th..
FLORIDA (FL) All funding listed here. Must be processed by May 15th. GEORGIA (GA) All funding listed here. HAWAII (HI) All funding listed here. IDAHO (ID) All funding listed here. Opportunity Grant: March 1st. ILLINOIS (IL) All funding listed here. Applications accepted starting January 1st until funds are depleted. KENTUCKY (KY) All funding listed here. Applications accepted starting January 1st until funds are depleted. NEBRASKA (NE) All funding listed here. NEVADA (NV) All funding listed here. Silver State Opportunity Grant: Accepting applications January 1st until funds are depleted. NEW HAMPSHIRE (NH) All funding listed here. NEW MEXICO (NM) All funding listed here. NORTH CAROLINA (NC) All funding listed here. Accepting applications January 1st until funds are depleted. OREGON (OR) All funding listed here. OSAC Private Scholarships: March 1st Oregon Opportunity Grant : Accepting applications January 1st until funds are depleted. SOUTH CAROLINA (SC) All funding listed here. Tuition Grants: June 30th SC Commission on Higher Education Need-based Grants: Accepting applications January 1st until funds are depleted. SOUTH DAKOTA (SD) All funding listed here. UTAH(UT) All funding listed here. VERMONT (VT) All funding listed here. Accepting applications January 1st until funds are depleted. VIRGINIA (VA) All funding listed here. WASHINGTON (WA) All funding listed here. Accepting applications January 1st until funds are depleted. WISCONSIN(WI) All funding listed here. WYOMING (WY) All funding listed here.